I was on the bus yesterday reading the Guardian’s tech pages when I came across an article about February 2014’s zeitgeist craze, ‘Flappy Bird‘, the mobile game taking the world by storm. The game is simple: guide a small bird through a series of pipes by tapping the screen to make the wings flap. Apparently, the game is infuriatingly difficult; but not so difficult that people don’t want to come back for another go. In fact, the difficulty level of the game is so well calibrated and the game so simple, that it is almost impossible to put down (allegedly)! The game is actually very difficult. Video games are about precarious balance – they are machines of compulsion, and they require an operator who is engaged enough to keep cranking the handle but not too comfortable that they get bored and want to stop. One good way to ensure compulsion is to make the operator believe that they can always do better, and if they don’t, that failure makes them angry enough at themselves to trap them in the loop. Shigeru Miyamoto – of Mario Bros fame – figured this out very early on when working on Donkey Kong, spending hours calibrating the perfect jump height for a monkey to clear rolling barrels. Game designer, Bennett Foddy, sums this up nicely, explaining that “simply tuning a game well can be far more important, in terms of player enjoyment, than adding clever mechanics or beautiful art”. 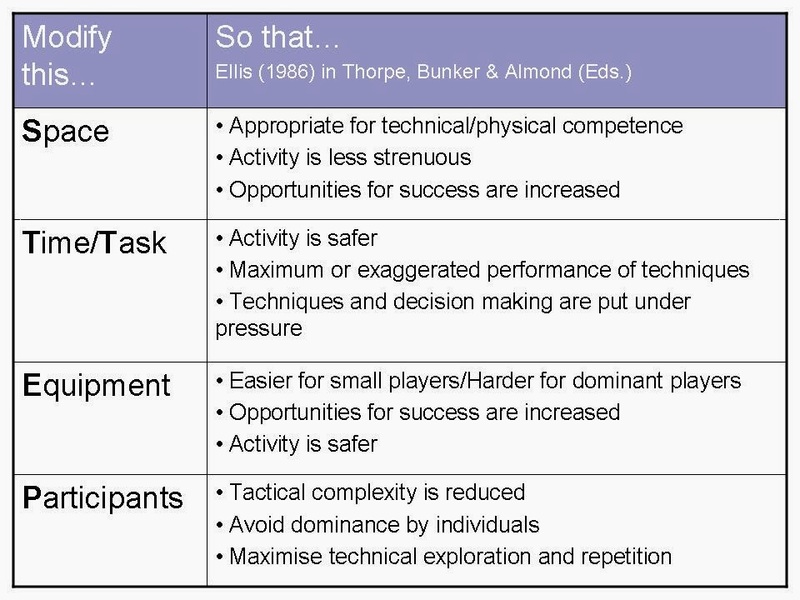 So this got me thinking about designing conditioned games in sports, a subject that I have become unhealthily obsessive about in the last few years. Let me start with an example. The game in the video below – Strike Out – like Flappy Bird, is very simple: it requires almost no equipment; it has simple rules (land the ball in the small circle and have it bounce inside the big circle); the control system – catching, throwing and running – is basic; yet it can be incredibly difficult in action (the goal, by the way, is to help players improve fielding and catching skills, but also to work on deception and ‘outwitting opponents’). The key to making this game work is calibrating the sizes of the two circles. In the video above, the game is full of errors because the circles are too small. However, because the players are skilled and motivated, they carry on. Younger, less skilled players would quit after a short time. There are, however, simple and obvious ways of altering the difficulty settings: change the size and material of the ball; change the size of the circles; change the number of players; change the number of ‘lives’ players have; add punishment/reward conditions for winners/losers respectively. Crucially, none of these ‘tweaks’ fundamentally changes the game, or alters its simplicity. So, perhaps good game design is the same, on and off the screen? Flappy Bird reminds us that a simple idea, with a perfectly calibrated difficulty level, can have significant addictive qualities. And by applying this idea in sport, with the attendant principles of gamification, we are likely to create more engaging games for our participants. However, experience tells me that simplicity and well-calibrated challenge are the product of experimentation and refinement, NOT divine inspiration. Players, for example, will often be able to recommend ideas to increase the challenge themselves, and you always need to observe play carefully to ensure the less-skilled players aren’t getting left behind. I leave you, then, with some sensible ideas for game modification coupled with basic explanations and reasons for applying conditions. Now flap off and experiment! This entry was posted in Organisation and tagged Flow, Game design, Gamification, Miyamoto. Bookmark the permalink.